Dr. Touma has edited a book on office procedures in dermatologic surgery and has over 18 publications in leading dermatologic journals as well as 43 presentations at major meetings around the world. Dr. Touma is dedicated to improving dermatologic and laser surgery through clinical research. He has performed the clinical research that led to the United States FDA approval on today’s leading laser for hair removal (Gentelase, Candela Corporation), and later researched ways to optimize the use of this laser in darker skin and minimize its side effects. Dr. Touma also researched the effects of varying cooling settings on the safety of laser hair removal. In addition to laser research, Dr. Touma has an interest in topical photodynamic therapy, and has conducted research that has helped popularize this method in the U.S. for the treatment of precancerous skin tumors, and for rejuvenating the signs of aging. Dr. Touma has ongoing research projects to study the effect of cooling on laser removal of tattoos, and to study new uses of photodynamic therapy. Our studies are approved by U.S. based review boards. We are constantly looking for volunteers to participate in clinical research projects. Volunteers will be made fully aware of every detail of the protocol of the study, with its potential benefits and risks, as well as time commitment. A stipend may be available. 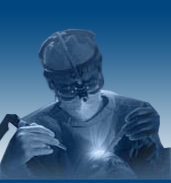 Dr. Touma offers focused short term training in laser surgery or cosmetic cutaneous surgery. Physicians have to be fully trained in dermatology, plastic surgery, or facial plastic surgery.